The Mommy Project | Ep.17- Spider-Man, Comic Book Talk and The Terror of the Talpidae. Jerry Griggs is on the podcast talking about his Book! Ep.17- Spider-Man, Comic Book Talk and The Terror of the Talpidae. Jerry Griggs is on the podcast talking about his Book! 10 Oct Ep.17- Spider-Man, Comic Book Talk and The Terror of the Talpidae. Jerry Griggs is on the podcast talking about his Book! Jerry Griggs- born and raised in Louisiana. College professor at University of Louisiana at Monroe and writer of his recently published book: The Terror of the Talpidae – A Sci-fi, Action- Adventure mixed genre novel. The Terror of the Talpidae: There is invasion, there is warped, mutated creatures, a hero- an adventure. 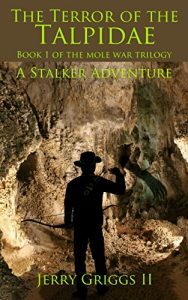 What began as a passion for comic book illustrations and graphic design, led way to the creative writing of The Terror and his main character Stalker. WWII era is where the novel begins- flash forward several decades- there is an invasion, consequences, adventures and friendship. A self-proclaimed comic book geek- Jerry talks of his early love for comic books and the excitement that went with each storyline. He Resonated with the characters, with the culture of the SuperHero. 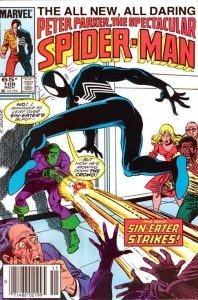 Spider-Man – the flawed character, alter identity, ordinary guy – rights the wrongs in his own life, and using this alter identity to fight a larger evil. Psychologically witty– “if you get them too mad or get too down”-the character comes out swinging.– the character can make mistakes. Loving the Flawed Superhero. Doc Savage and creator Lester Dent. Storytelling is Processing. Storytelling is a journey. Facebook Page- The Terror of the Talpidae– Jerry creates content and researches the latest articles relating to the Superhero Word, Comic Con, and classic films. Check out his Facebook page. Leave a Review on iTunes and Subscribe! Let me know what projects you are working on and how the process is working!